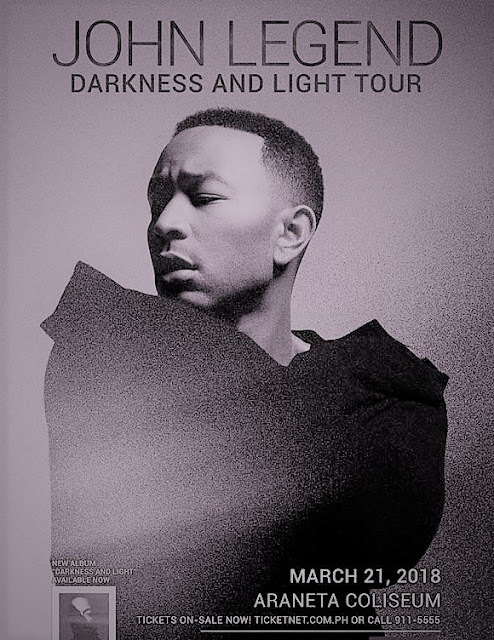 John Legend in Manila 2018 ~ What's New Philippines? He will be returning to Manila for his highly anticipated Darkness And Light World Tour on March 21, 2018, 8pm at the Araneta Coliseum. Tickets will be on-sale via TicketNet.com.ph. For more information, visit Wilbros Live on social media.